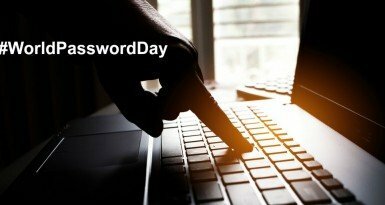 We thought with the advent of #WorldPasswordDay we would take this opportunity to remind users about the importance of password security. Passwords control access to the most important functions of our daily life, and the misuse of a password can result in fraudulent access to your personal information, your finances (banking and financial programmes) as well as host of other individual related personal and work systems. Just think about how many times a day you use a password to access a device or platform – be it personal such as your bank, or business related such as your work network. SOS Technology Group recommends the use of strong passwords – a combination of upper and lower case, numbers, symbols and words and/or passphrases. Passwords should be changed on a regular basis, and previous passwords should not be recycled. The use of a random password generator such as Secure Password Generator may assist users to create a strong, secure and entirely random individual security password. The Australian Government has created the StaySmartOnline website as a resource detailing information about passwords and PINS, and the importance of keeping these key security items safe and secure. Call SOS Technology Group today on 1300100505 or contact us by email to discuss how we can assist you with maintaining your password security for your personal or business needs.